The Sportspark is easy to spot within the UEA complex, just look for this sign. I was here to watch some roller derby, first of all though time for some breakfast. It was really busy when I arrived and all the tables were taken, I joined the queue and hoped for the best. 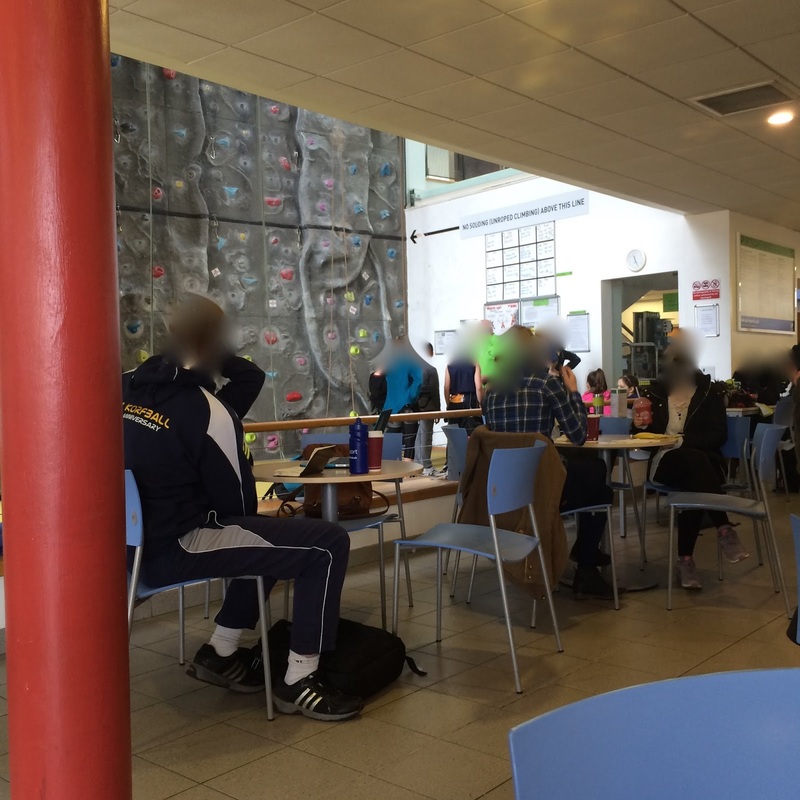 A climbing wall is located beside the cafe, because of this it can get quite noisy. The website says breakfast is served between 8am and 11am, the menu tells a different story though. I went searching for sauces and cutlery. I returned to my table feeling slightly depressed. I sat with my number 8 waiting for my food to arrive. I think number 45 was somehow linked to my tea. I don't recall having 6 sugars in it, my head was spinning from the noise and confusion though so I'm not ruling out the possibility. The breakfast arrived on a long plate that was placed vertically in front of me, I wasn't appreciating the presentation at all. 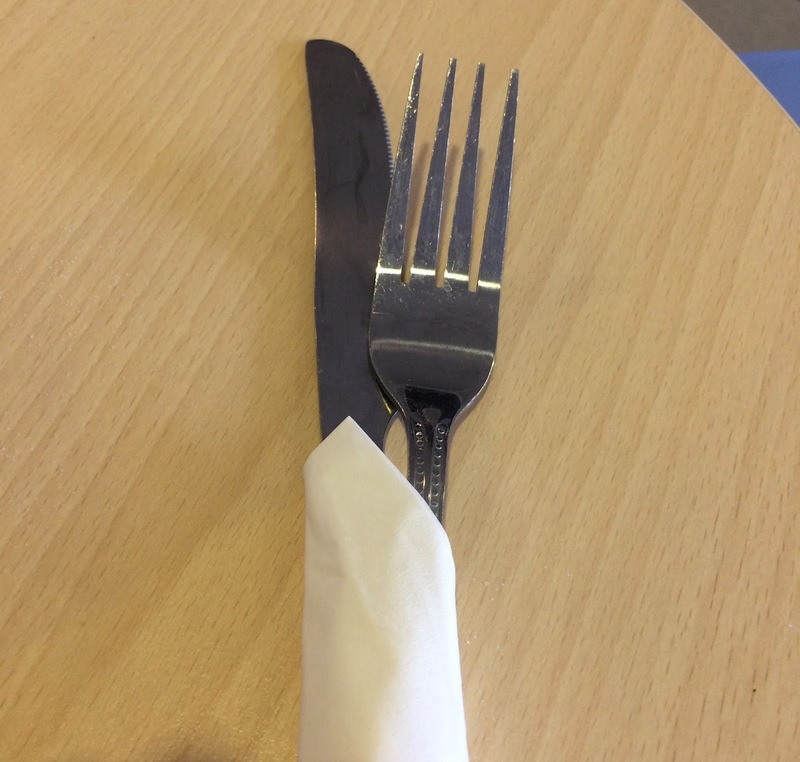 On the plus side some real cutlery had arrived wrapped in a serviette, the serviette came in very useful later when I opened the butter packets. I rotated the plate around horizontally and attempted to restore some sanity to the table. The eggs were looking good, I popped them onto some toast. These great eggs were most definitely the highlightof the breakfast. 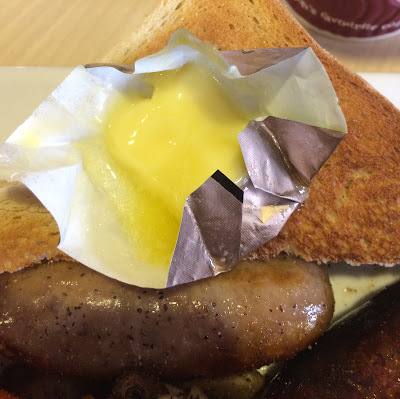 There was a lot going on in the centre of the plate, butter packets lay across the toast. The butter had started to turn to liquid, this is where that serviette came in handy. 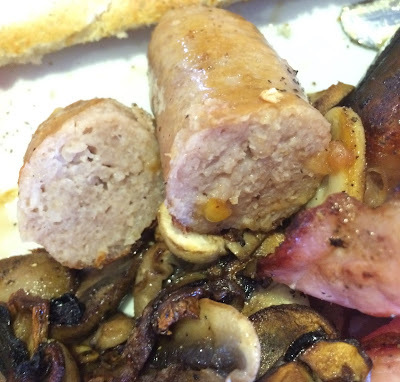 A nice firm locally sourced sausage. 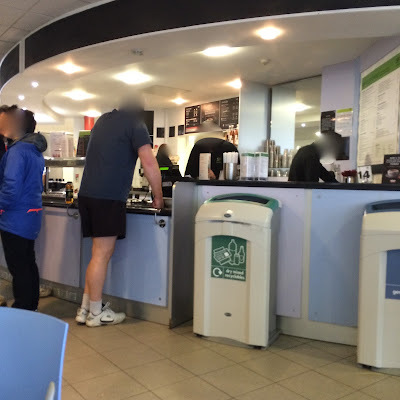 A few weeks ago somebody on twitter showed me a photo of their breakfast they'd eaten at UEA Sportspark Cafe in Norwich. It looked impressive and made me keen to try it for myself next time I was at the UEA. This moment came sooner than I was expecting, there was a roller derby event at the Sportspark I was attending with my wife, the perfect opportunity to try this breakfast. 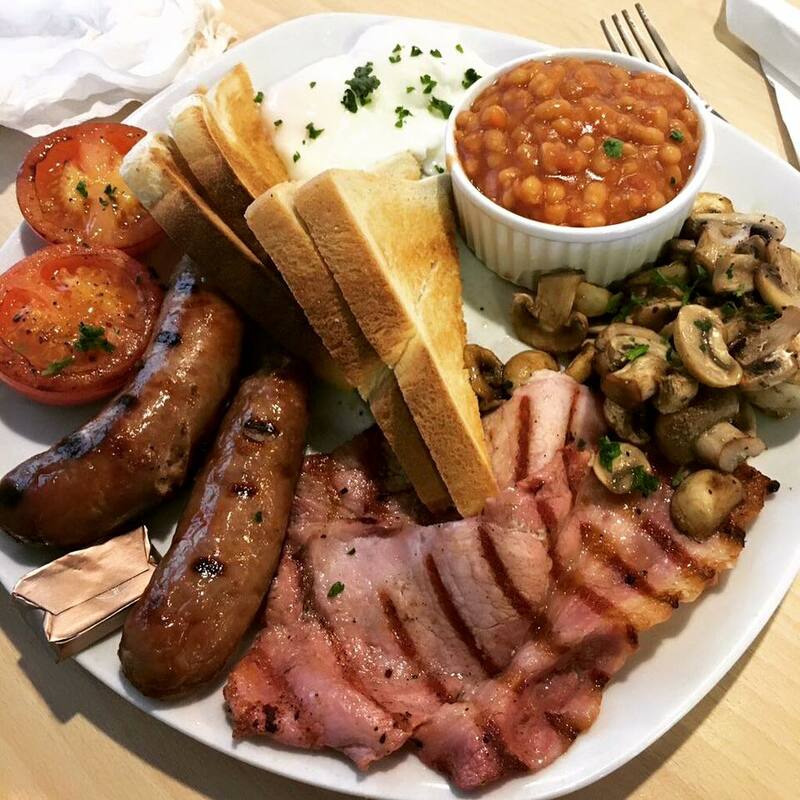 This is the photo of the breakfast I was shown on Twitter, it looks really impressive, nicely presented and much better than the breakfast I was served on my visit. 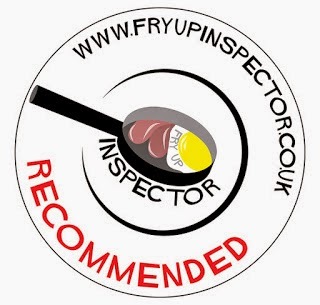 Veggie option - No veggie full English but other options are available on the menu. Well done for sticking with it bro, I'm afraid I would have bailed out. Now who, in their right mind, came up with the plan to use those plates...never seen anything like it! I actually would have paid for your brekko if you'd tried to eat it length ways on!! !